Mum is up in KL for the Deeparaya holidays. This would only mean, shopping! Whee! Before I shifted over, we (my mum, sis and I), used to come up every year without fail to shop for Chinese New Year attires. Now, with my sis and me living here now, my mum would come up every year without fail to continue our shopping ritual. Anyway, since decision on where to have lunch naturally lies in my hands, for I am supposedly the “host” in One Utama, which I live a stone’s throw away. Since this time Pho Pho would be eating, I decided we should go oriental to suit her. 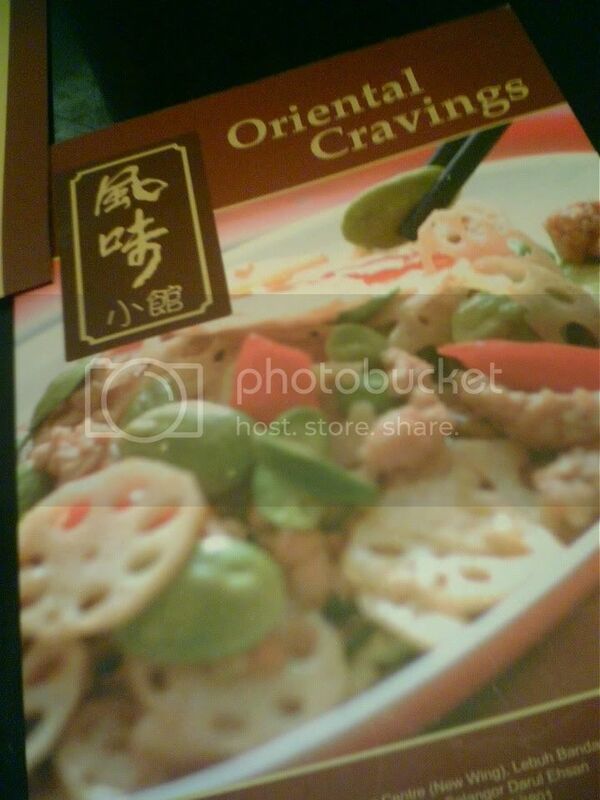 Thus, I brought them to Oriental Cravings in the mission to soothe our cravings for familiar food. 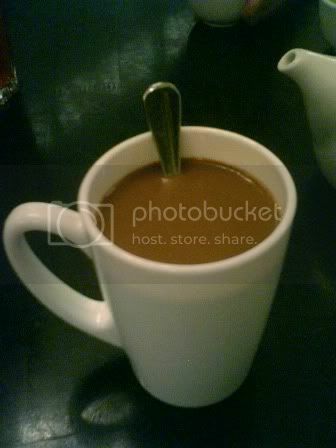 There I ordered Hainanese Tea, a mixture of tea, coffee, milo and milk. Wanted to try it out because of the special combination, and boy, was it yummy. Slightly more thick on coffee but to my expectation since coffee emits strong aroma. Nevertheless, its a real interesting concoction to try out. Then my mum and Pho Pho ordered Claypot Loh See Fun, and she wanted the soupy version. Of course they do not have it, despite us telling her so. Therefore the waitress suggested adding egg to make it smoother and she will ask them to make a wetter version. This turn out to be a bad idea, the loh see fun was soggy and wet, with lack on taste. 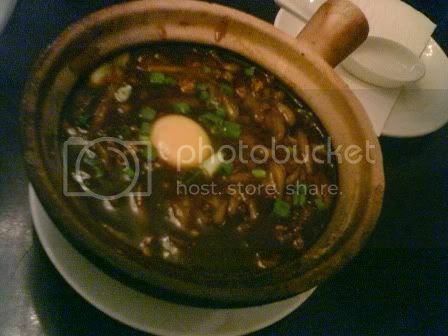 I have tasted much better claypot loh see fun out at the hawkers. 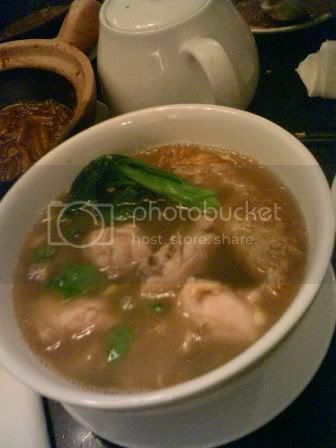 Next I had Rice Wine Chicken Mee Sua, which is chicken cooked in homemade rice wine, served with omelette and mee sua. You can also opt for the rice version instead. This dish is a surprise to taste, with a real kick of rice wine. If you’re not into wine, you’re not gonna like it. It was real good at first but by the end of the meal, I could not lap up the soup anymore. But my Pho Pho seems to love it a lot, where she took my entire bowl and drink it like its wine. 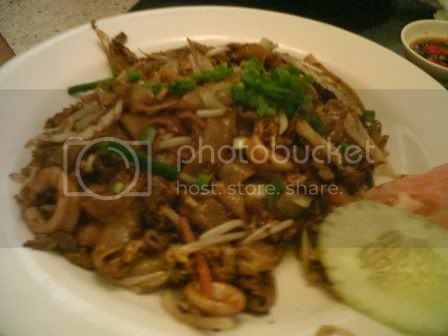 Lastly, my cousin ordered Fried Kway Teow which is fried just the way it should be for KL style, with prawns, squids and pork slices. Definitely up to standard and would not be a let down. The only problem here would be the slow service and slow serving for my mee sua and the fried kway teow. Might be peak lunch hour but its just on ordinary working days. Therefore if you happen to be at One Utama and are craving for some hawker style food, head over for an oriental treat with style. I love rice wine, so the mee sua sounds nice. Glad you had fun and hope you also managed to get lots of shopping done. I got loads of shopping done with tummy full ;). I'm from Taiping, Perak. Nice mee suah . Tried the red rice wine version ? Typical HOKKIEN loves mee suah just like I do. hehehehe. Kuala Sepetang got nice seafood ler. Where abt in taiping ? haven't try before red rice wine, sound delish! i hope to get to try it someday. i always love my mee suah too and so that is the reason eh! i once went to kuala sepetang but only for boat ride, fireflies and photography. for us in Taiping, Matang is always the place to go for fresh seafood! Hello Rokh! Hey, your pda camera is not bad... everything your captured looks yummy ; ). Wishing you all the best with your food blog adventure! i find the portion i paid for at this place is a little too small... and yes, service is super slow. Come to my house. My foochow rice wine mee suah is superbly yummy too.